Back home after a wonderful little getaway to Hilton Head. 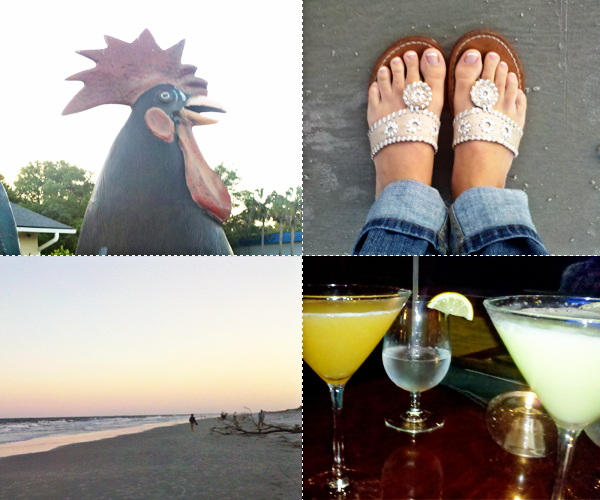 A very large rooster, toes in the sand, sunset bike rides on the beach and yummy martinis from Daniel's Restaurant. Shop updates, ReStyles and a giveaway this week!